Home » Olahraga » "Similar Bale Ronaldo, But ..."
Former Tottenham Hotspur manager Harry Redknapp assesses game similar to Gareth Bale colleagues at Real Madrid, Cristiano Ronaldo. But, according to Redknapp, Bale less resilient to accept criticism like CR7. Redknapp Bale character well known. Both had previously worked together at Spurs. "For me, Bale as Cristiano. You have to give him the ball. After he got it, he would run and put himself in a position where he could shoot hard, or dribble into defense. I will give all the freedom in the world," said Redknapp as Mirror reported. "They are players who like to roam freely. They are players who feel more comfortable without limitation tactical. It would be awesome to see them at full speed, and ran to the defense." 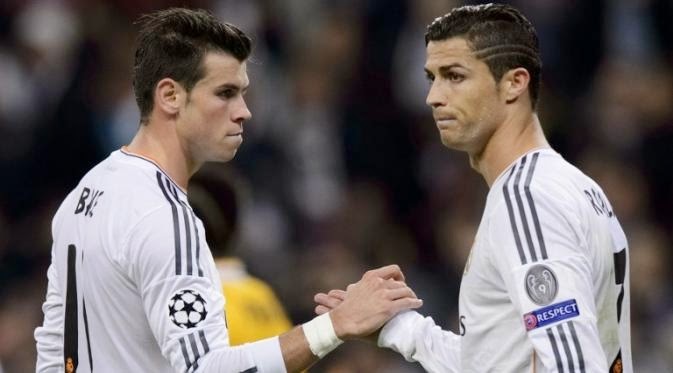 Redknapp does not agree with the opinion that Bale was fit to play alongside Ronaldo. "When he joined Madrid, I was worried it might be a shadow of Cristiano. But he played well last season. He scored some incredible goals." "This year, I saw he was getting criticized. He never received much attention and may have little influence. But he has to forget about it, be strong and believe that he can change this situation," said Redknapp. 0 Response to ""Similar Bale Ronaldo, But ...""